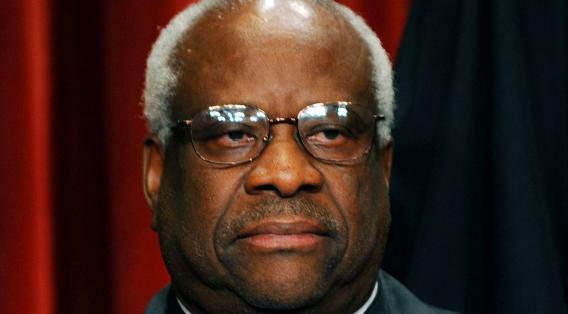 For the first time since Feb. 22, 2006, Justice Clarence Thomas woke up and decided to mutter an incomprehensible phrase, or maybe a joke — no one is quite sure yet — in the Supreme Court. Could it be that faith healer Benny Hinn was secretly lurking his chambers and yelled “HEALED” before Thomas put on his black robe? Thomas is an enigma and kind of like an eclipse — he blocks out the sunlight and shows up every few years. I’ve heard some defend the mime-like performances of Thomas, claiming that oral arguments don’t matter. However, by remaining silent he is irresponsibly passing the buck and making other justices do the hard work. Imagine if all the SCOTUS judges slumped slack-jawed and said nothing? It would seem a bit chaotic and make those presenting cases rather uncomfortable. His behavior is permissible, but not very dignified. In case you missed the mutterings of the ultra-conservative justice — don’t despair — he is expected to speak a line or two again in 2019.